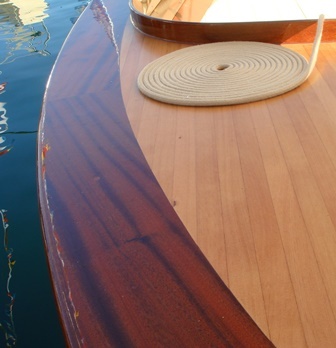 Easy to apply with a roller or a brush, STARWOOD varnish enhances wood beauty and creates a barrier against atmospheric conditions thanks to UV absorber technology.Recommended for natural wood, this 1-component varnish will give to your boat a long-lasting natural finish and very good wooden protection. With Nautix VA2 2-component polyurethane varnish, you will get a perfect shine and protection on wood or on two-pot polyurethane paints (Nautix L2). VA2 formulation provides very high quality and hardness, exceptional resistance to impacts, to abrasion and to ultraviolet degradation. Caution : For a refit job, apply VA2 only top of a 2-comp polyurethane finishing paint (varnish or topcoat). The choice between a single-pot and a two-pack varnish is determined by the surface to be painted, the environment, and surface preparation quality.